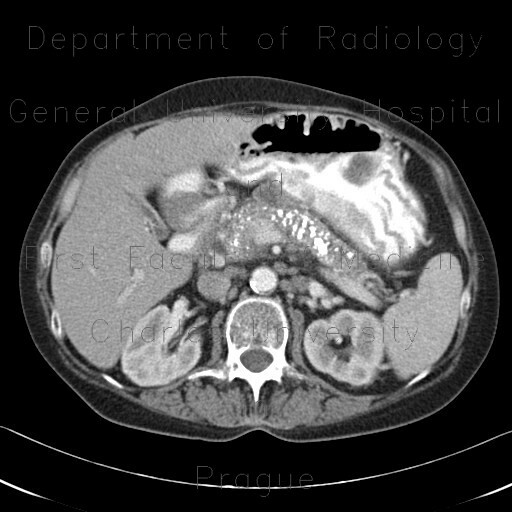 CT shows multiple coarse calcifications spread throughout the pancreatic parenchyma. This is a typical appearance of chronic calcified (mostly alcoholic) pancreatitis. Other signs that are not present in this case include atrophy, dilation of the pancreatic duct and stones in the duct.